Earth Day has been becoming more necessary every year. Now, because of the agenda of many politicians in Washington, D.C., efforts to protect the earth are crucial. 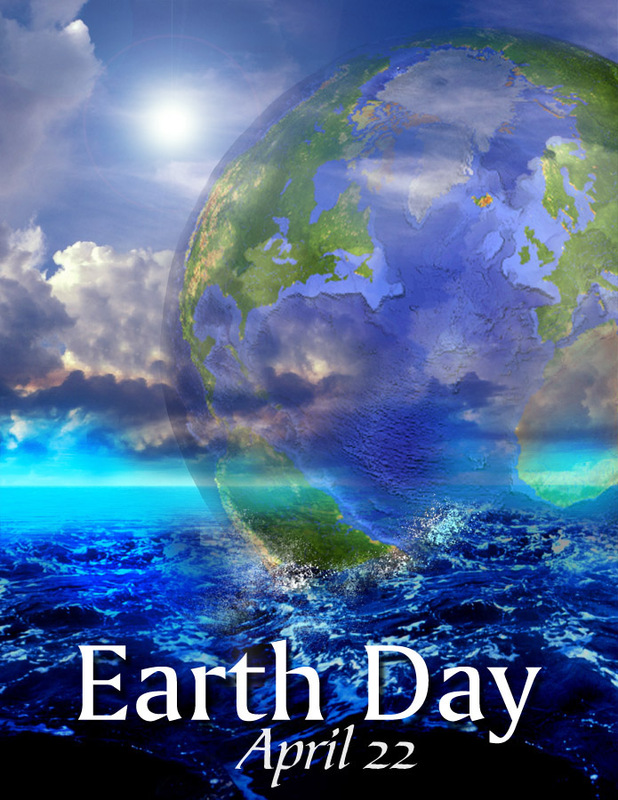 Earth Day has been featuring celebrations all around the world for more than 40 years. 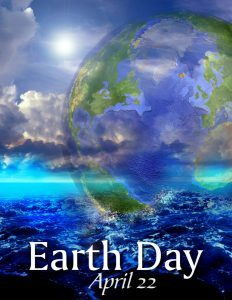 Earth Day, which began in 1970, was founded by Gaylord Nelson, a senator from Wisconsin. Today, Earth Day is a global celebration — an annual event that brings together people and communities for the common appreciation and understanding of the natural environment. Earth Day is now a global event each year with more than one billion people in 192 countries now take part in what is the largest civic-focused day of action in the world. It is a day of political action and civic participation, people march, sign petitions, meet with their elected officials, plant trees, and clean up their towns and roads. Corporations and governments use it to make pledges and announce sustainability measures. Faith leaders, including Pope Francis, connect Earth Day with protecting God’s greatest creations, humans, biodiversity and the planet that we all live on. Earth Day Network, the organization that leads Earth Day worldwide, today announced that Earth Day 2018 will focus on mobilizing the world to End Plastic Pollution, including creating support for a global effort to eliminate single-use plastics along with global regulation for the disposal of plastics. 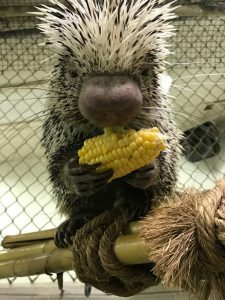 There are a number of special Earth Day festivities in the area this weekend, including the “Earth Day — Party for the Planet” at the Brandywine Zoo (1001 North Park Drive, Wilmington, Delaware, 302-571-7747, www.brandywinezoo.org). The Brandywine Zoo’s Earth Day activity features live entertainment, animal-related games, stories, crafts and live animal presentations. It is scheduled to run from 10 a.m.-1 p.m. on April 21. The 12-acre zoo features Siberian tigers, river otters, and other animals native to the Americas and the temperate areas of Asia. 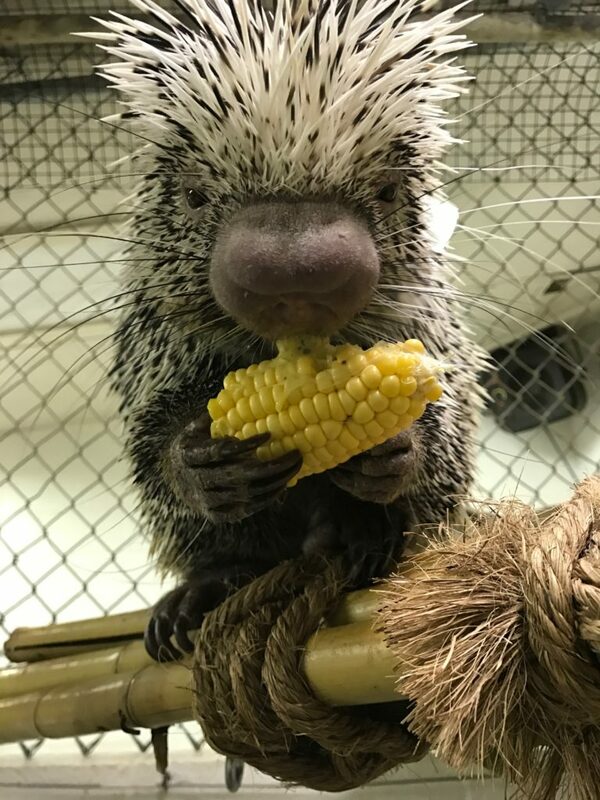 In addition to the tigers and river otters, the zoo also is home to a snowy owl, Andean condors, Florida bobcats, binturongs, sandhill cranes, burrowing owls, pygmy goats, llama, rhea and the capybara (which is the world’s largest rodent). Earth Day activities are included free with zoo admission. Tickets for the Brandywine Zoo are $7 for adults, $5 for seniors and children (ages 3-17). On April 21, there will be a special event with an Earth Day connection at the Brandywine River Museum of Art (1 Hoffmans Mill Road, Chadds Ford, www.brandywine.org, 610-388-8326) – the 25th Annual Brandywine River Cleanup. Participants are invited to get dirty with the Young Friends of the Brandywine at the annual cleanup, which will run from 9 a.m.-1 p.m. on April 21. Over the years, the Young Friends have removed more than 30 tons of trash from the banks of the Brandywine between Lenape and the Delaware state line including picnic tables, hundreds of tires, lawn chairs, countless cans and even a huge stuffed purple gorilla. Participants in Saturday’s event can help fill another dumpster this year. Volunteers are advised to wear hats, long pants, heavy shoes or boots, and sunscreen. The organizers will provide water but suggest volunteers bring a reusable water bottle to cut down on waste. Gloves and trash bags will also be provided. Participants can stay after the cleanup for a lunch provided by the Young Friends. This event is appropriate for adults and children (age 5 and older). 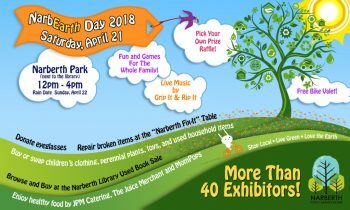 Other area Earth Day celebrations on April 21 are the 29th Annual NarbEarth Day at Narberth Park (80 Windsor Ave, Narberth, http://www.narberthcivic.org/narbearthday.php) and Earth Day at Newlin Grist Mill (219 Cheyney Rd, Glen Mills, www.newlingristmill.org). 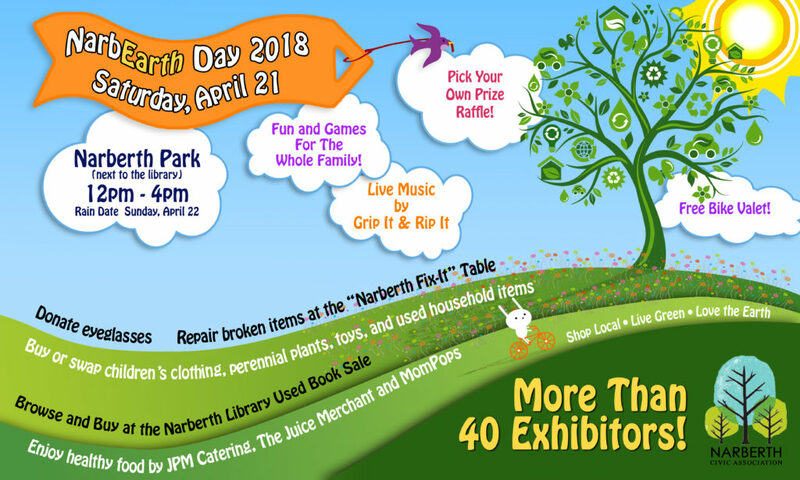 NarbEarth Day, which will run from noon-4 p.m., is a fun family festival of environmentally friendly living and sustainability that has been a Narberth tradition since 1990. The event features free admission, live music, fun activities for kids and adults – and a variety of good food. There will also be information booths by the U.S. EPA Mid-Atlantic Region, Citizens Climate Lobby, Clean Air Council and other environmental organizations, as well as groups such as GMO Free PA, Ready for 100 MontCo PA and Lower Merion Conservancy. The Earth Day event at Newlin Grist Mill will run from 10 a.m.-noon on April 21. Visitors are invited to help celebrate nature and protect the environment with this volunteer event. Each year, diverse volunteers from the community, including individuals, families, scout troops, and youth groups join together to work on projects that improve habitat for wildlife, protect important natural resources, and preserve the park’s plant and animal communities. Past projects have included planting trees, installing bird boxes, and stream cleanup. The Fifth Annual Downtown Glenside Arts Festival (Easton Road between Waverly Road & Glenside Avenue, Glenside) will be held on April 21 from 11 a.m.-5 p.m. The Arts Festival incorporates Earth Day in the activities of the Festival, providing fun and educational activities for kids and families. Highlighting Earth Day and the important issues that accompany it, the festival also supports the efforts of Cheltenham Township’s sustainability programs. This year’s festival will have more than 70 vendors selling outstanding works of art, photography, pottery, jewelry, decorative items and more. Along with the arts and crafts vendors will be food from local restaurants and food trucks, wine and beer vendors, and representation from local community groups. On April 22, there will be an “Earth Day Celebration” at Highland Orchards Farm and Market (1000 Marshallton-Thorndale Road, West Chester, http://www.highlandorchards.net) from 11 a.m.-4 p.m. The farm market will also be welcoming the following Local/Earth-Friendly Producers — Jardine Apiaries, Botanical Bubbles, Cultivate Greens, Cave Bird Coffee, and Bottled Thyme. On April 22, the Wagner Free Institute of Science (1700 West Montgomery Avenue, Philadelphia, http://www.wagnerfreeinstitute.org/) will host “Family Open House: Be A Geologist!” from noon-4 p.m. Visitors will be able to dig deep under the earth to learn about rocks and the earth. Wagner staff and geologists from Temple University will be on site with hands-on and interactive activities about rocks, minerals, and the earth beneath us. Dr. Jon Nyquist (Temple University) will give a talk on “Urban Geology,” that will deal with the ground beneath your feet in Philadelphia. Activities are geared toward children (ages 6-12) but all ages can enjoy this event. Admission is free. But, for those who would like to donate to attend, the suggested donation is $10 for adults and $5 for children. It’s time once again for National Park Week — a time to explore amazing places and discover stories of history and culture. The theme for National Park Week in 2018 is “Park Stars,” celebrating everything from starry skies to superstar volunteers, park features, and resources. Parks, programs, and partners nationwide invite people everywhere to explore stories, experiences, and sites that brighten the National Park System and public lands. Special attractions for National Park Week include a “A Fee Free Day” (April 21), “National Junior Ranger Day” (April 21), “Volunteer Day” (April 21), “Earth Day” (April 22), “Military & Veteran Recognition Day” (April 28) and “National Park Rx Day” (April 29). Two special events are schedule for this week. On April 22, Valley Forge National Historic Park will host the Valley Forge Revolutionary 5-Mile Run with activities from 8 a.m.-noon. The 11th annual USATF sanctioned race is the only race that directly supports Valley Forge National Park. The event also includes a 3-mile walk and 1.776 km youth fun run. This weekend, you can add “Sky Night” to “Earth Day” on your activity schedule. Things will be looking up for participants in a special celestial event scheduled for April 22 – the arrival of Lyrid meteors. The Lyrid meteor shower is not one of the strongest of the annual meteor showers, but it can be enjoyable to those meteor observers thirsting for something after over three and a half months of weak meteor activity. The Lyrids generally begin on April 16 and end on April 26, with maximum generally occurring during the night of April 21/22. At maximum, hourly rates can reach about 10 meteors per hour. The Lyrids are particularly interesting for two reasons. First, observations have been identified back to at least 2600 years, which is longer than any other meteor shower. Second, the meteor shower occasionally experiences an outburst of about 100 meteors per hour and the reason is basically unknown. There are other, weaker meteor showers going on around the same time as the Lyrids. The Lyrids move rather fast. When you see a meteor, mentally trace it backwards. 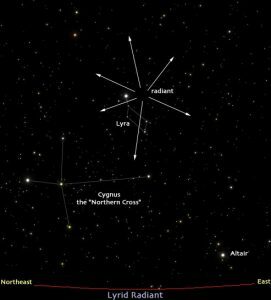 If you end up at the constellation Lyra then you have probably seen a Lyrid meteor! 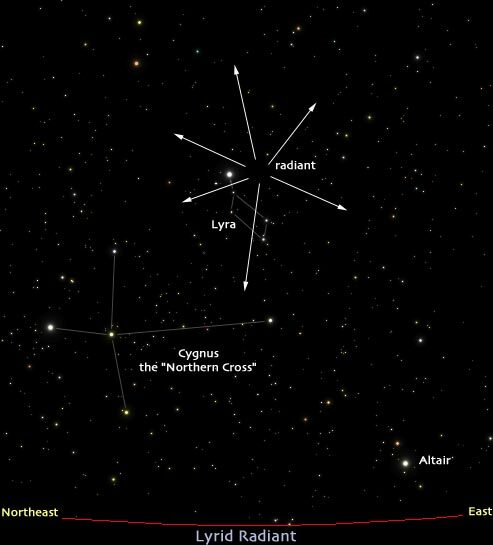 If you are not sure where Lyra is in the sky, the following charts will help you find it from both the Northern Hemisphere and Southern Hemisphere. “Earth & Space Weekend” is part of “Explore Science: Earth & Space,” a nationwide celebration of educational programs designed to engage audiences in the awe-inspiring fields of earth and space science led by the Science Museum of Minnesota in collaboration with the National Aeronautics and Space Administration (NASA). Throughout spring and summer of 2018, events are taking place at over 250 museums and institutions throughout the country. 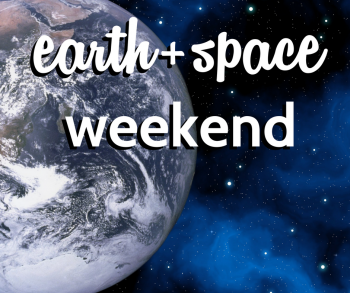 At this weekend’s event at the museum in northern Delaware, visitors will be able to participate in hands-on earth and space science activities, crafts, special story times, guest presentations, themed films, and much more. They also will have the opportunity to visit the museum’s STARLAB inflatable planetarium and learn about what stars you can find in the night sky. 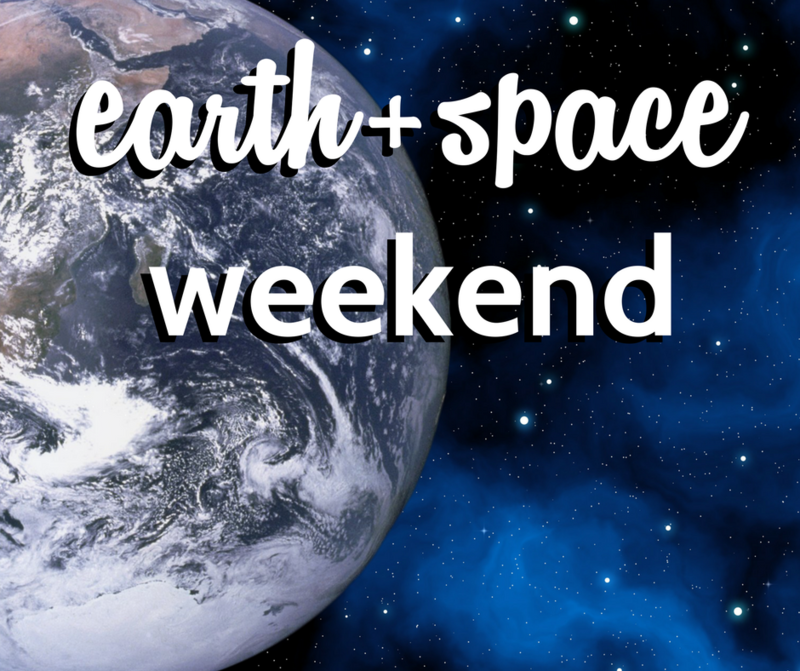 “Earth & Space Weekend” will include exciting science, and engaging discussion about science and society. Participants will have a chance to launch stomp rockets and investigate craters. Admission to the museum is $9 (ages 3-59), $8 seniors (60 and older) and $3 toddlers (ages 1 and 2). One in three children in the United States is obese. When summertime arrives, kids often become more idle. Research shows that without access to out-of-school physical and learning activities, kids fall behind academically and gain weight twice as fast. To improve families’ health and well-being and to get parents thinking early about what their kids need to grow and achieve all summer long, the YMCA of Greater Brandywine hosts annual Healthy Kids Day events across Chester County. 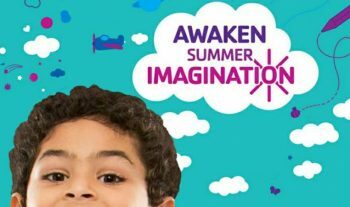 The Kennett Area YMCA is inviting families with kids to visit the “Y” to enjoy inflatables, a DJ, face-painting, hula hoops, pottery and Zumba demonstrations and more! There will also be a “Healthy Kids Day 2018” event presented by the West Chester YMCA on April 21. The family-oriented event will run from 11 a.m.-2 p.m. at East Goshen Park (1661 Paoli Pike, West Chester, www.ymcagbw.org). Other “Healthy Kids Day 2018” events on Saturday will be presented by the Brandywine YMCA at Caln Park, the Jennersville YMCA at The Technical College High School, the Lionville Community YMCA at Kerr Park, the Upper Main Line YMCA at Upper Main Line YMCA and the Oscar Lasko YMCA & Childcare Center at Marshall Square Park. Events are free and open to the community. 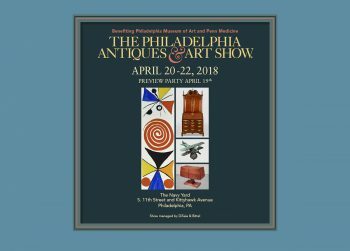 This weekend, the Annual Philadelphia Antiques & Art Show will be held at the Philadelphia Navy Yard (5100 South Broad Street, Philadelphia, http://philadelphiaantiquesandartshow.com). 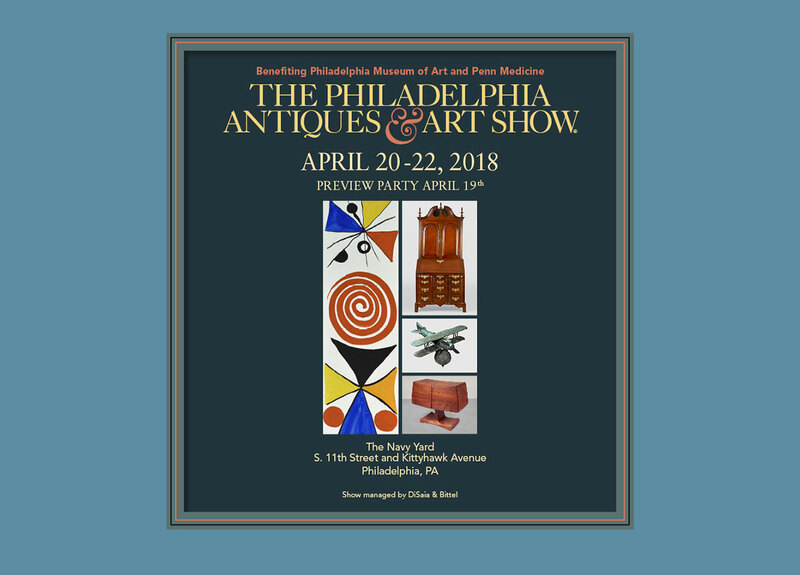 The Philadelphia Antiques & Art Show, which bills itself as “one of the best American antiques and decorative arts show in the country”, will be held April 20 and 21 from 11 a.m.-8 p.m. and April 22 from 11 a.m.-5 p.m. Since the beginning, the Show’s committees have worked tirelessly to organize, develop and produce one of the finest shows of Americana. The 2018 edition of the show celebrates its 56th year as one of America’s premier shows with more than 60 exhibitors offering a vast selection of furnishings, decorative arts, and fine art for both the period and modern American home. On April 20 at 11:30 a.m., Martha Stewart will give a talk called “Martha’s Flowers” in which she will discuss her book “Martha’s Flowers: A Practical Guide to Growing, Gathering, and Enjoying.” Stewart and Kevin Sharkey, her colleague and co-author, will discuss when to plant, nurture, and at the perfect time, cut from your garden. Other talks at the show will be “Collecting Philadelphia: A Legacy of Art” by Alexandra Kirtley & Elisabeth Agro on April 20, “Buying and Selling Philadelphia: The Story of the Legendary 1929 Reifsnyder Sale” by Emelie Gevalt, Ph.D. Candidate University of Delaware on April 21 and “The Pennsylvania Hospital and Its Historic Collections: Living History” by Stacey C. Peeples, Curator-Lead Archivist, Pennsylvania Hospital on April 22. Admission to the show is $20. The featured blooms this week are the favorite flowers from the Netherlands — tulips. Philly Brick Fest will be held April 21 and 22 at the Greater Philadelphia Expo Center (100 Station Avenue, Oaks, 484-754-3976, www.phillyexpocenter.com). The huge annual event will occupy 140,000 square feet of space, making it the largest fan-created LEGO event in North America. LEGO builders from around the globe are invited to showcase their fan-built creations, learn building techniques from one another, interact with other fans, participate in building challenges and activities, and most of all enjoy a fun-filled weekend with like-minded LEGO Maniacs. The Philly Brick Fest experience is open to all LEGO enthusiasts, interested in connecting with other builders and having their creations on display for the public to enjoy during the weekend public hours of Brick Fest Live. For the first time, Beyond the Brick, the popular YouTube channel dedicated to the LEGO Fan community will be broadcasting from the event. Admission to Brick Fest is $22. The Expo Center will also host the “Northeast Bunfest” on April 21 from 10 a.m.-5 p.m.
“Bunfest” is a fun-filled, family-friendly fundraising event presented by Luv-N-Buns Rabbit Rescue. Visitors are invited to meet the rescue bunnies from all around Pennsylvania and surrounding states. 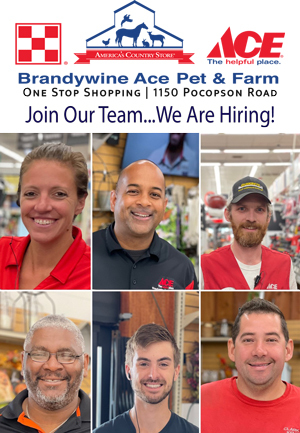 There will be artisans and crafters selling items suitable for both bunny and human, and bunny educator seminars featuring some of Pennsylvania’s best rabbit vets who will teach you all about rabbit care. There will even be a “Bunny Spa” where experts will trim your rabbit’s nails, offer grooming and massage, or just a nice place for your favorite bunny to chill for a while. There will also be a photographer taking bunny portraits as a memento of your visit to Bunfest. Many rabbit rescues will be selling things to raise money for their mission and also sharing information about adopting a rabbit. In addition, there will be educational talks as well. All rabbits must be safely transported in a carrier, stroller or something secure. For the safety of all, please do not carry your rabbit in your arms – or in an inverted top hat. Visitors to Peddler’s Village (Routes 202 and 263, Lahaska, 215-794-4000, http://peddlersvillage.com) can enjoy the site’s annual “Spring Fling,” which will be held on April 21 and 22 from 10 a.m.-6 p.m. each day. “Spring Fling” attendees can savor local seasonal foods, check out the “Home & Garden Displays,” and treasure hunt for an original handcrafted work at the Artisans Market. Live entertainment will be provided by Jump Start Band, John & Rob (Mango Men Duo), Give & Take Jugglers, BC Discoveries Dancers, Galena Brass Band, Rendition Jazz Band, The Overtones, Nassau Brass Band, and Spinning Straw Duo. The event, which features free admission and free parking, will be held rain or shine. On April 21, the Tamil Association of the Greater Delaware Valley’s “Tamil New Year 2018” will be held at West Chester East High School (450 Ellis Lane, West Chester, http://tagdv.org). Pushpavanam Kuppusamy is a Tamil folk singer, lyricist, writer and music composer of Tamil folk art and Anitha Kuppusamy is a Tamil folk and Carnatic singer, and television host. Tickets for the event, which runs from 1:30-9:30 p.m., are $26. 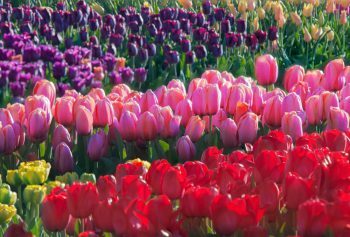 The festival, which will run from noon-5 p.m., will help visitors offer a long-awaited welcome to spring. The garden site will get visitors into a springtime spirit with a fully-stocked nursery, garden workshops, live music, and activities for the little ones. Clover Market will join the fun with a curated marketplace of local vendors and seasonal wares. Now through April 21, the Bethel Fire Company is holding its annual Carnival from 6-10 p.m. each night at the firehouse (3737 Foulk Road, Boothwyn, www.bethelfire.com). Visitors can enjoy carnival rides, festival food and “carny” games. Proceeds benefit Bethel’s all-volunteer fire department. On April 22, “Festival at the Fort” will take place at the Kalmar Nyckel Shipyard (Seventh Street, Wilmington, Delaware, 302-429-7447, http://www.kalmarnyckel.org). From noon-4 p.m., the revitalized 7th Street Peninsula celebrates the coming of spring on the Christina River and Colonial Life in the Delaware Valley with food trucks, music, children’s games, tours of the Kalmar Nyckel and historical reenactments. “Festival at the Fort,” which was formerly known as “SpringFest,” provides visitors with an opportunity to experience the rich heritage of the Wilmington Colonial-era cultures of the Lenape, Swedes, Finns, Dutch and English with an afternoon of fun and learning for the whole family. Proceeds from the festival benefit New Sweden Centre, Old Swedes Foundation, the Kalmar Nyckel Foundation, the Delaware Swedish Colonial Society, and the New Sweden Alliance. On April 21, 1984 (25411 West Fourth Street, Wilmington, Delaware, www.1984wilmington.com) is hosting “Locals Only: A Delaware Beer and Band Fest” from 3 p.m.-1 a.m. The event will feature eight Delaware-based bands playing original music. The roster features MEGA, Levi Dylan and the Former Ruins, Kira Alejandro, Statesmen, Bedlam Kiss, Sarah Koon, Reverse Giraffe, and The Bad Larrys. In celebration of beer from the First State, the festival will have 16 Delaware beers and ciders on tap including Mispillion River, Dogfish Head, Liquid Alchemy, 16 Mile, 3rd Wave, Bellefonte, Big Oyster, Midnight Oil, Twin Lakes, Blue Earl, Fordham & Dominion, Crooked Hammock, Revelation, and Rebel Seed. Another special event on April 21 will be the Lancaster Barnstormers’ “Fan Fest.” Activities will get underway at noon at Clipper Magazine Stadium (650 North Prince Street, Lancaster, 717-509-HITS, http://www.lancasterbarnstormers.com). Gates for “Fan Fest,” which is free and open to the public, will open at noon with the Barnstormers taking the field at 1 p.m. for a game against the Black Sox. “Fan Fest” provides the team’s fans with the opportunity to meet the 14th edition of the ballclub in uniform when the Barnstormers’ players sign autographs before the game. Families and friends will also be able to enjoy pregame of catch on the field. A ballpark visit is always fun day — and this day has added incentives. Fun 101.3-FM, WROZ, will be giving away prizes, including two tickets to an upcoming Harry Styles Concert in Hershey. And, hot dogs will be just $1 throughout the day. This weekend, it’s time for the annual staging on Clover Market (7 North Bryn Mawr Avenue, Bryn Mawr, www.theclovermarket.com). The well-attended spring ritual will feature more than 90 vendors who will be setting up shop in downtown Bryn Mawr to sell handmade jewelry, vintage clothing, original art, intricate ceramics, high-quality antiques and more. The one-day-only event will be held on Sunday from 10 a.m.-4 p.m.